are made by a special extrusion process. The corn grits are moisturized in the flour mixer with water and fed to the rotaryhead extruder. 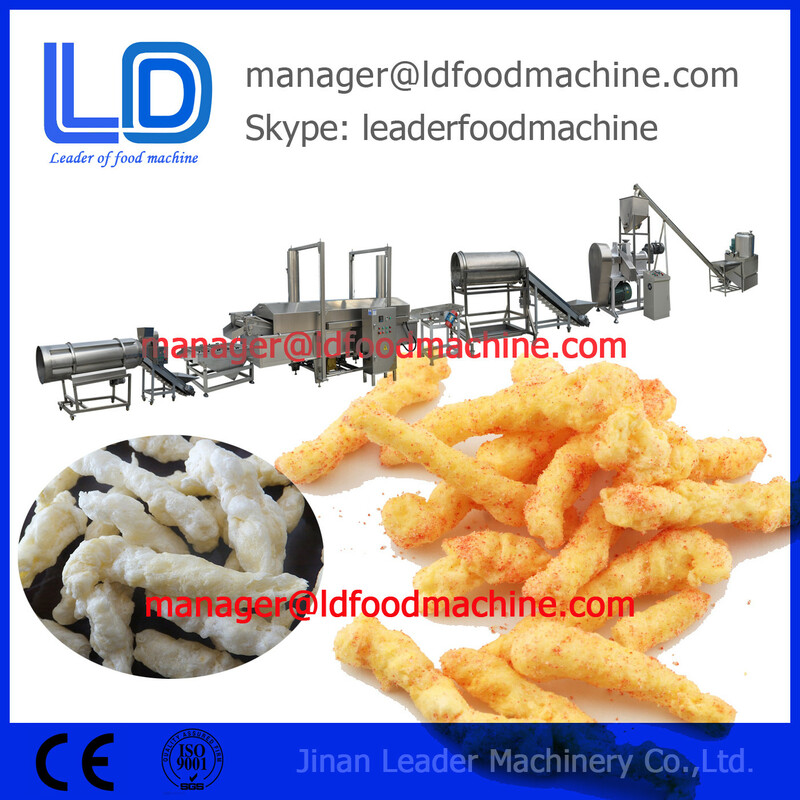 In the extruder, due to the two rotary plates, the corn grits are squeezed and twistedto curls shapes. The cutting knifes can cut into required lengths. The Kurkure/Cheetos are fried incooking oil or toasted in oven and then cooled before flavoring. Seasoning is sprayed on the surface to achieve different favorable tastes. 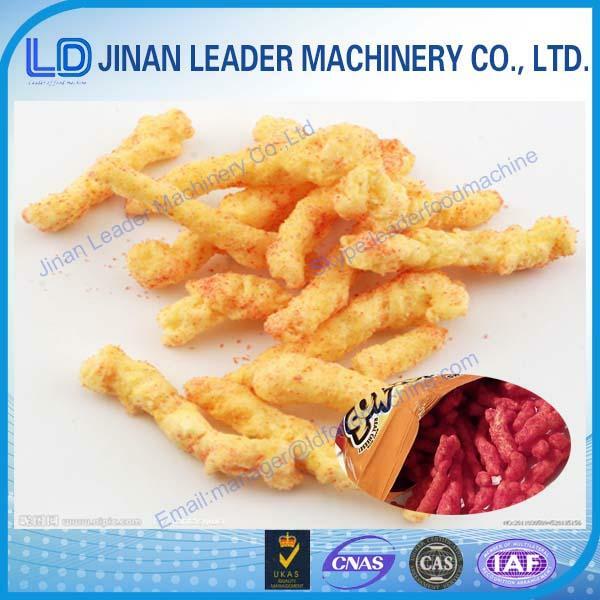 Due to the delicious flavors and nutrition, it is quite popular with consumers. 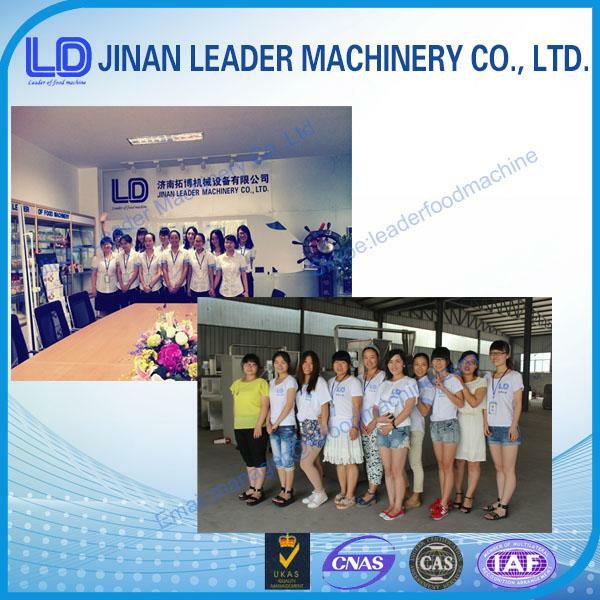 We mainly deal with the manufactory, research and development of the food machinery. 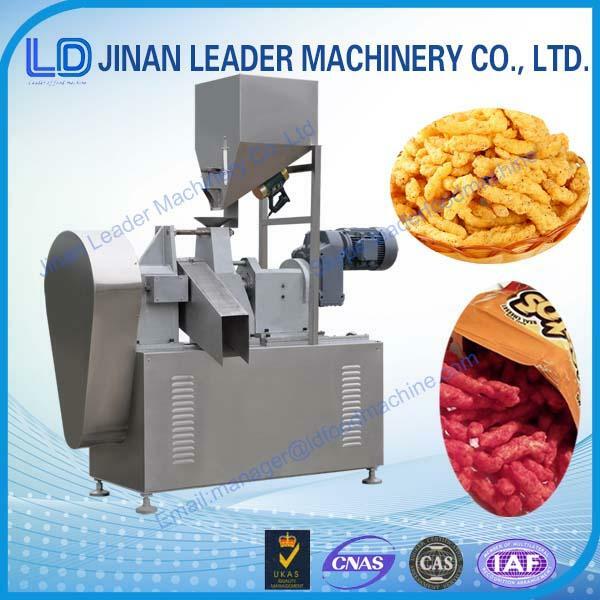 Also to comply with the request of different clients' ,we could design and make the whole complete processing line of different snacks food,just like core flakes processing line,bread making line,small instant noodles processing line and so on. 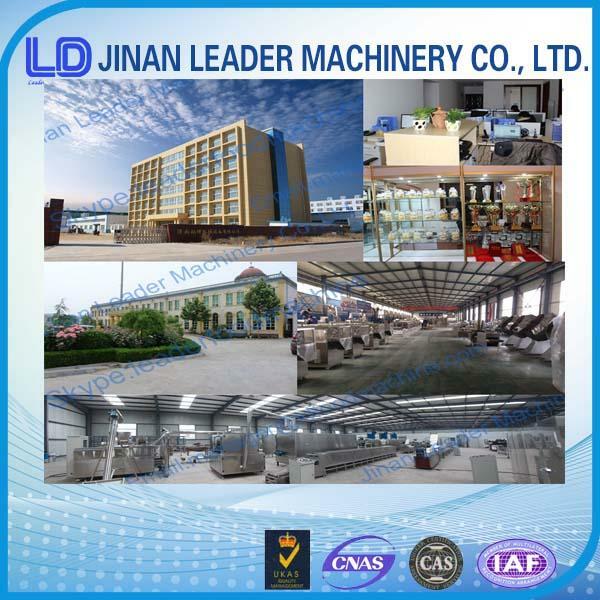 There are more than 20 engineers and 15 after sales service personnels in our factory.Anything wrong when machines is operated will be dealt within 10 minutes. 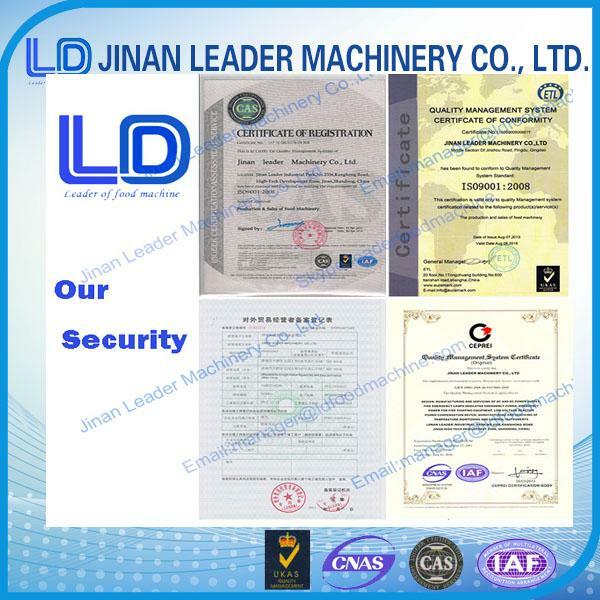 Copyright © 2015 - 2019 professionalbakeryequipment.com. All Rights Reserved.